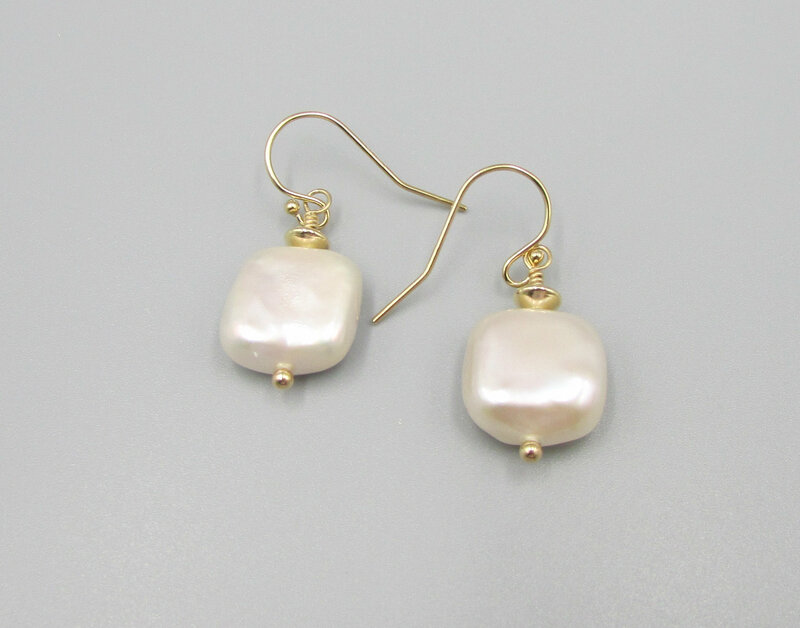 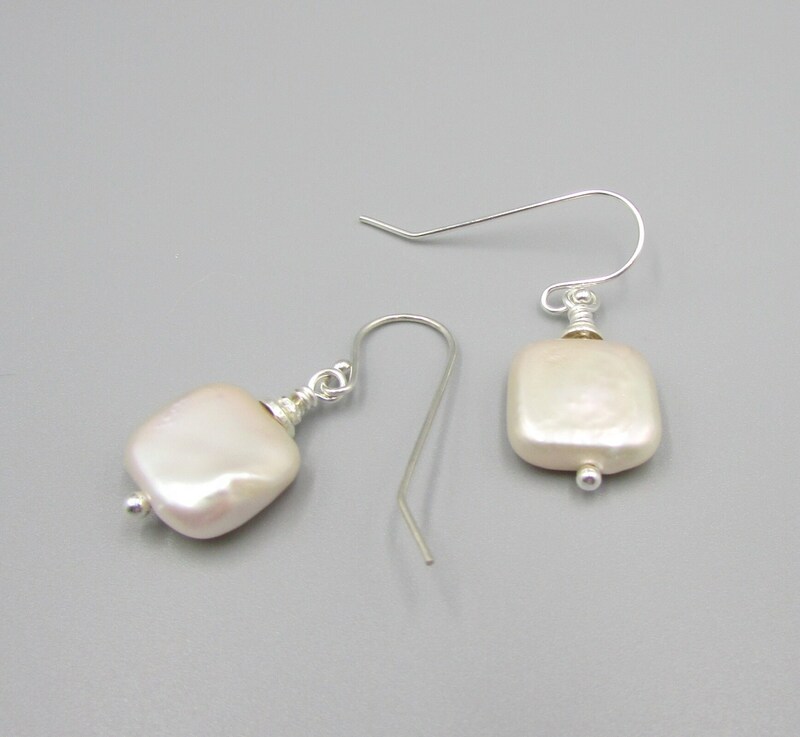 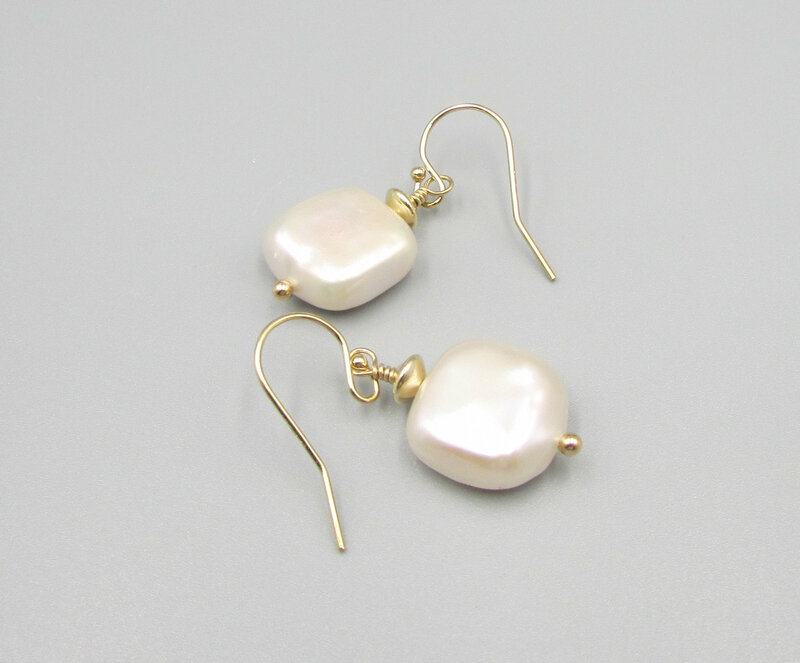 These lovely square pearl earrings come with either 14K gold filled or sterling silver. 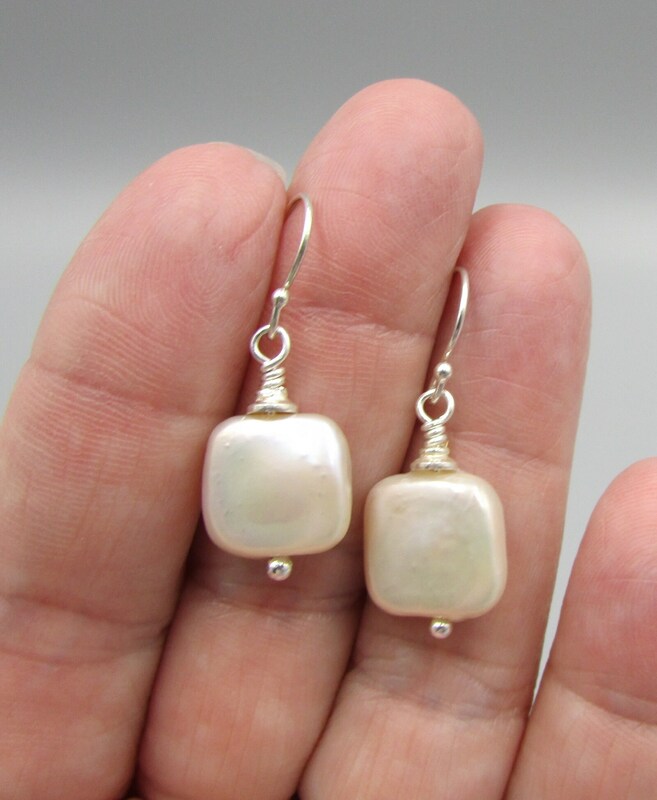 The freshwater square AAA pearl is 9mm square or about 1/2 inches. 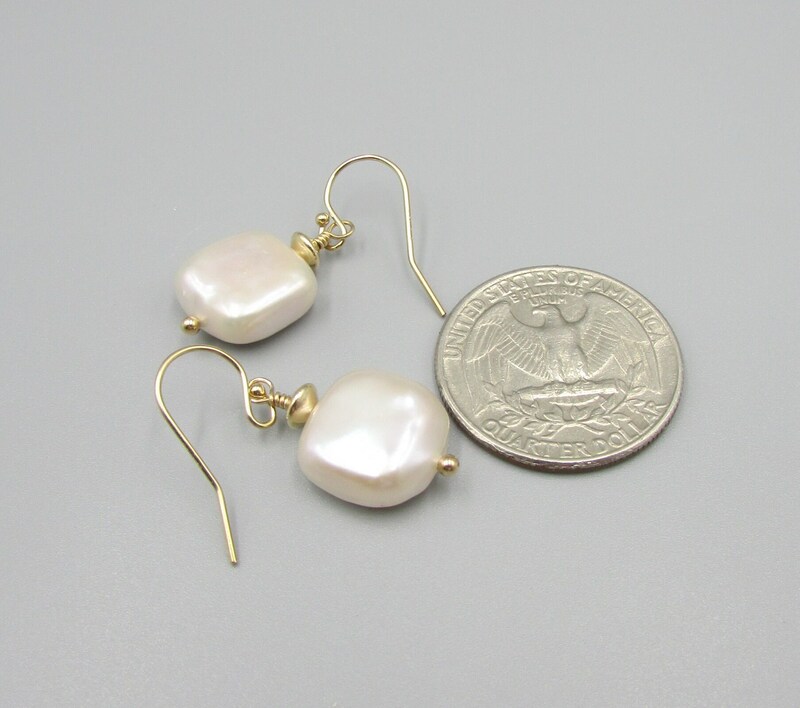 The length is 1 inch long. 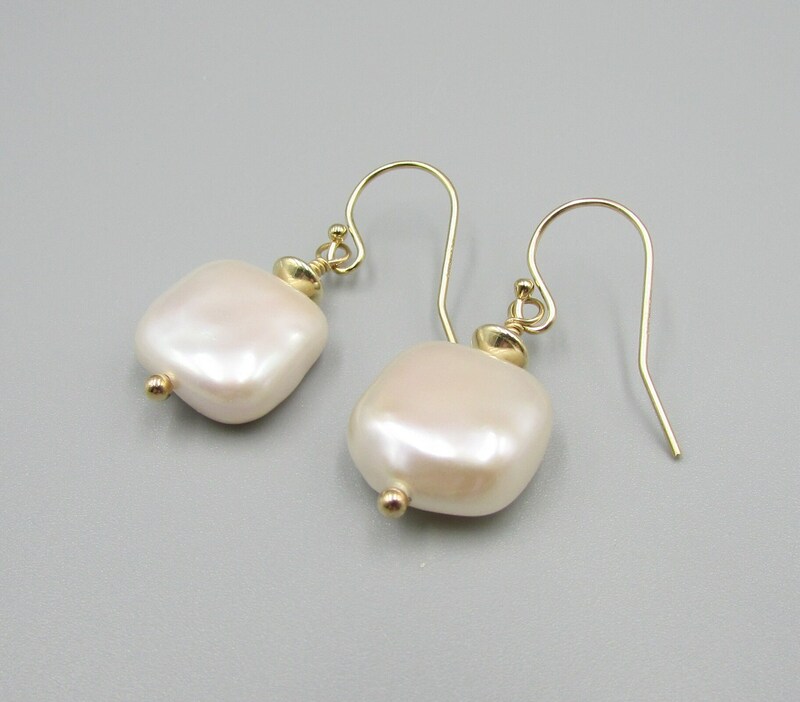 The gold filled earrings have a 4mm gold filled saucer bead added and is placed on a gold filled ball head pin. 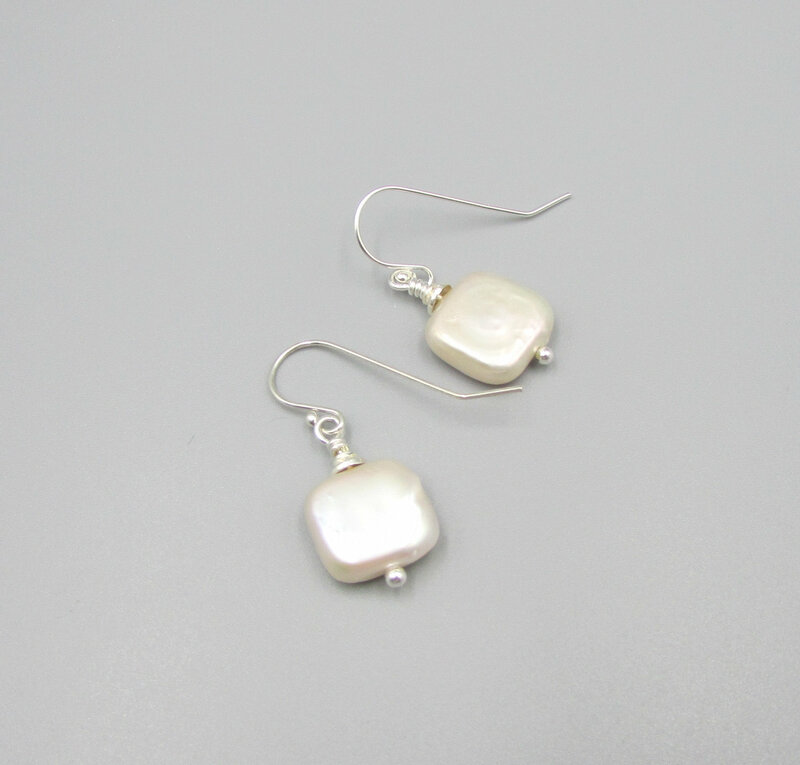 The sterling silver pair has a sterling silver bead cap and on a sterling ball head pin. 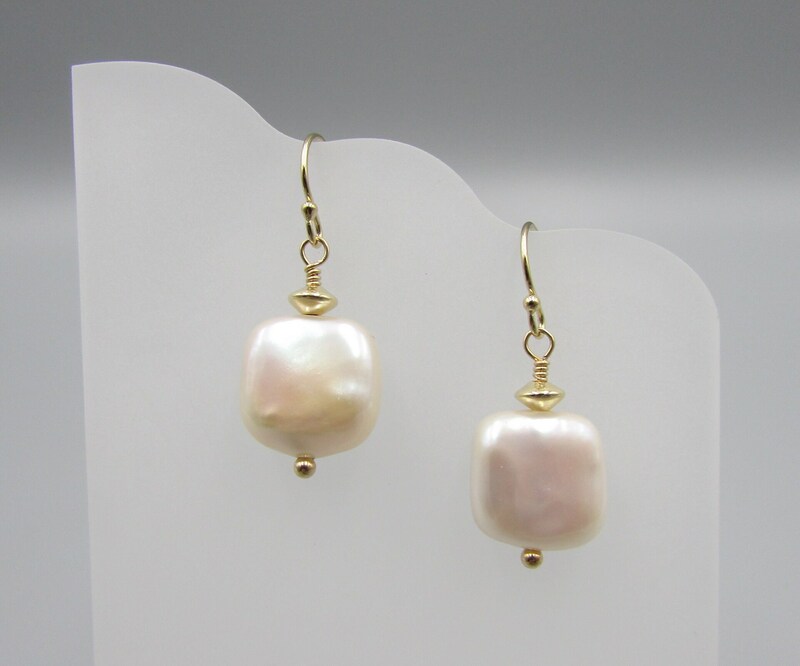 The pearl is a lovely light ivory with hues of pink in them. 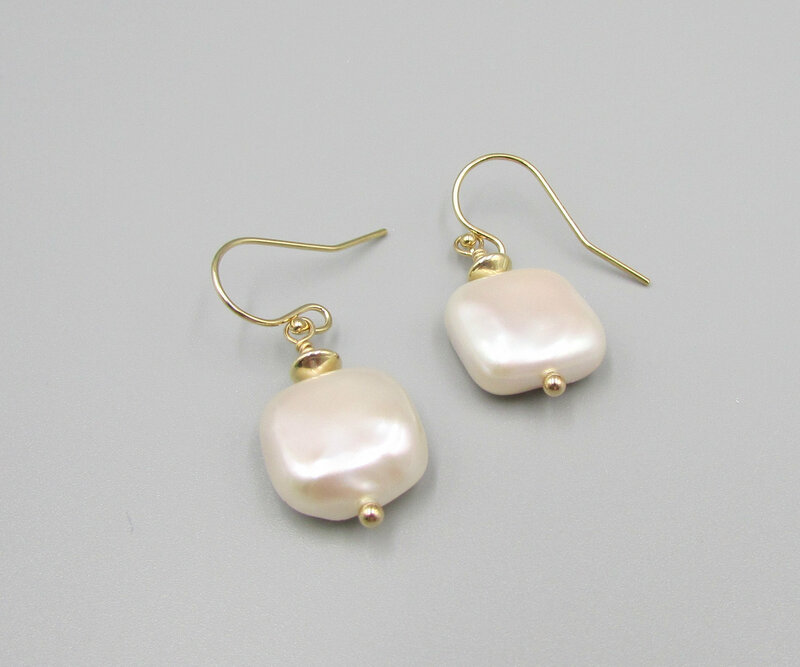 Perfect for everyday, birthday or as a bridesmaid gift.